How can any side deal with the unwilling Israeli government? When I was writing an op-ed piece titled “Israel’s War on Palestinian Children” for the Turkish Daily Sabah, I had stated that “Hamas has repeatedly and unequivocally denied any involvement in the murders [of the three Israelis in West Bank in early July]. This was not a “state sponsored crime.” At the time, the Israeli state had rashly put the blame on Hamas and “vowed to exact revenge.” True, there was no concrete evidence that would dissociate Hamas from the murders yet it would be obvious to any analyst that they would have nothing to gain from these murders, namely because it does not seek to jeopardize the unity government with Fatah. Jeopardizing this inter-Palestinian settlement could see a further isolated Hamas, politically and financially. It was a desperate win for the Islamist group in light of the military coup in Egypt that overthrew the democratically elected Morsi government in addition to the severely reduced aid from Syria and Iran due to Hamas’ support for the popular Syrian uprising. Nevertheless, one of my good friends who was editing my article wrote a comment reminding me that “if it ends up being Hamas, you will have eggs on your face.” His point was definitely valid, yet political precedent persuaded me to keep this sentence. Now, I can confidently say that I have no eggs on my face. In a recent interview with BBC’s Jon Donnison, Israeli police spokesperson, Micky Rosenfeld tells him that the men who killed the three Israelis were “definitely lone cell, Hamas affiliated but not operating leadership.” He goes on to state that “if kidnapping had been ordered by Hamas leadership, they [Israeli government] would have known about it in advance.” So, what was the point of this latest Israeli aggression? Looking back at the Obama presidency, there have been three massive wars on Gaza; one in 2008-2009, 2012, and now 2014. Each of these ceasefires was broken by Israel. CNN’s Rick Sanchez on live air goes back through the archives and reveals that it was the Israelis who broke the ’08-’09 ceasefire amidst overwhelming false accusations that it was Hamas who started it. Again, then what was the point of this latest Israeli aggression? The point was to annihilate any possibility of a united Palestinian government which can ultimately represent itself at negotiations for a peace settlement. Hamas’s participation in the unity government with Fatah necessarily entailed Hamas’s endorsement of negotiation along the lines of the two-state solution as laid out by UN Res 242. As a matter of fact, Khaled Meshal, Hamas’ political leader based in Qatar, has explicitly endorsed the two state solution. A 2006 Guardian article mentions Hamas’ cessation of a call for the destruction of Israel. It can be seen that the two biggest Palestinians factions are on board and aligned with stated US and the international community’s objectives to the conflict. So, Israel should rush to accept this latest development in Palestinian politics, yes? They should, but they won’t. The exponential growth in settlements in the West Bank and frequent bombardment of Gaza reaffirms Israel’s disinterest in peace. It seeks to maintain and expand its settler colonial project and dismantle all the pre-existing UN resolutions passed supporting the right of a Palestinian state to exist. Prime Minister Netanyahu, in a recent interview, made his position clear in that “there cannot be a situation, under any agreement, in which we relinquish security control of the territory west of the River Jordan.” It doesn’t require any distinguished analyst to read in between the lines of such a quote. 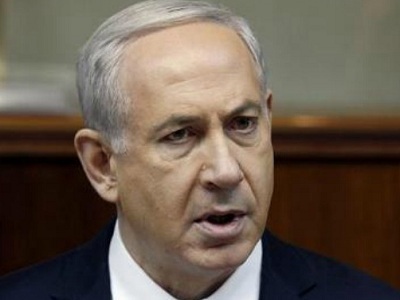 He makes Israel’s position blatant; we do not support the right of a sovereign Palestinian state to exist. Hence the real question is: how can any side, whether it is the Palestinians, Arabs, Europeans, or Americans deal with an unwilling Israeli government? I cannot bear Netanyahu, he’s a liar. That’s how the former French president Nicholas Sarkozy would answer that question. – Mahmoud Yamak was born in Montreal, Canada and currently resides in Texas. He is a rising senior at Texas A&M University. He contributed this article to PalestineChronicle.com.